With residential and rental properties, you can often deduct more than just the mortgage interest. 3. Can I Deduct Investment Property Expenses on Taxes? The Internal Revenue Service allows several tax breaks for homeowners that can make buying and owning a home more affordable. Tax treatments for your own residence and for investment and rental properties are slightly different. 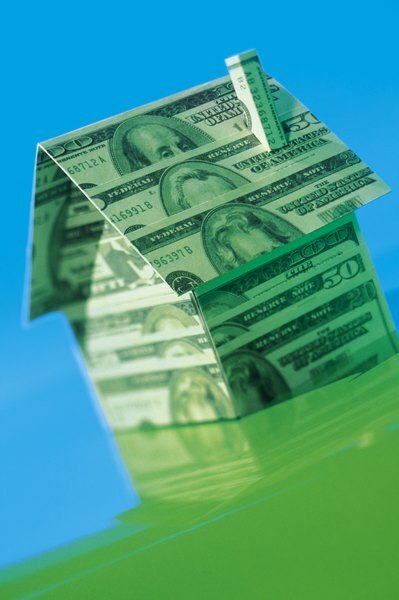 With investment properties, you can write off expenses in addition to the mortgage interest. When you refinance your residence, you can write off all the interest you pay on the new mortgage, just as with the original mortgage. Since you're starting back at year one of a 15- or 30-year mortgage, the monthly payments will be primarily interest with little going toward principle. If you pay points, those are generally deductible, but you cannot write off any closing costs, refinancing fees or appraisal costs. If you're required to take private mortgage insurance again, it's deductible. If you refinance for more than your current mortgage and take the extra as cash, how you spend the extra money will determine whether you can write off the full mortgage interest paid. If you use it for home improvements or to buy another property, it's deductible as "acquisition debt." If you cash out some equity to buy a car, your nonacquisition debt interest deduction is limited to the fair market value of your home minus the equity. When you purchase property as an investment or to generate income, the IRS allows you to deduct all necessary costs associated with acquiring the asset. You can write off the mortgage interest on your investment rental properties each year, even if you own several different properties. You can also write off any necessary and ordinary expenses for depreciation, maintenance and repair as deductions against rental income received during the tax year. The financial institution that owns your mortgage is required to send you a Form 1098 each year that reports the amount of interest paid on your mortgage. If you paid deductible points, that will be listed on the form. For your personal residence, use Schedule A to report the mortgage interest and deductible points on line 10 and required mortgage insurance on line 13. If you did not get the Form 1098, report the amounts on line 11 and keep written records in case the IRS requires proof of the interest payment. For investment rental property, report income and expenses on Schedule E. Mortgage interest payments should be listed on line 12. Points must be deducted over the life of the mortgage for rental properties, so deduct one-thirtieth per year for a 30-year mortgage on line 13.